Shahriyar Sobhdel, 24, is a barista in Tehran. He greets customers, gets orders and serves coffee, latte, chocolate cake or the cafe's special red velvet. But, what makes him stand out from most of baristas is that he does this job, despite his autism condition. Add Iran as an interest to stay up to date on the latest Iran news, video, and analysis from ABC News. He is one of Downtism Cafe's 35 staff members who all have either Down syndrome or autism, from which the cafe derives its name. The place was founded in May 2018 by Ailin Agahi, a music instructor to people with special needs. "I realized my students were afraid of being sidelined, so, despite challenges, I decided to start a business which could put them in direct touch with other people," Agahi told ABC News. Staff members Shahriyar Sobhdel, center, and Mehdi Khakian, right, listen to a trainer at the Downtism Cafe, in Tehran, Iran, on Dec. 11, 2018. Soon the cafe became a place where many people with special needs, along with their families, tied their hopes to. "It was exactly what I was looking for for my son for years," Shahriyar’s mother, Afsaneh Noori Majd, 60, told ABC News. There are 325,000 people with mental disabilities registered at the State Welfare Organization of Iran, Zahra Saei, head of the Parliamentary Committee of Disabilities, said in an interview with the semi-official Iranian Labor News Agency in Dec. 2018. According to a report by the Statistical Center of Iran, the unemployment rate of the country was about 12 percent this fall. 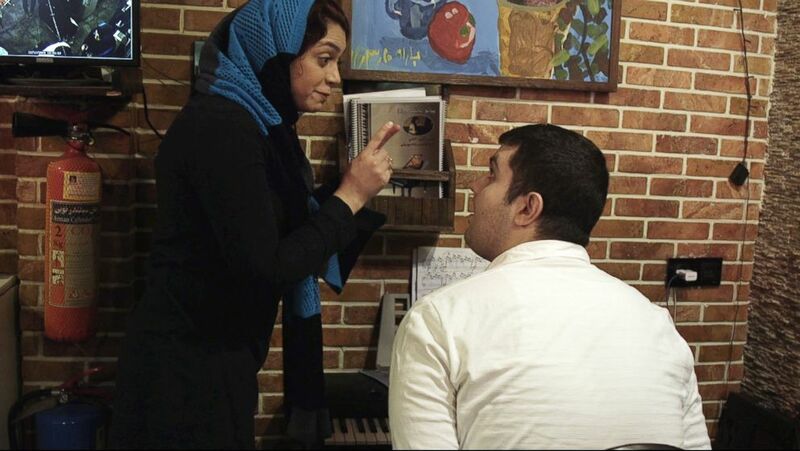 The unemployment rate of people with special needs is 3.5 times higher, Fatemeh Zolghadr, a spokeswoman for the Parliamentary Committee of Disabilities, said in an interview with Farsnews in July 2018. 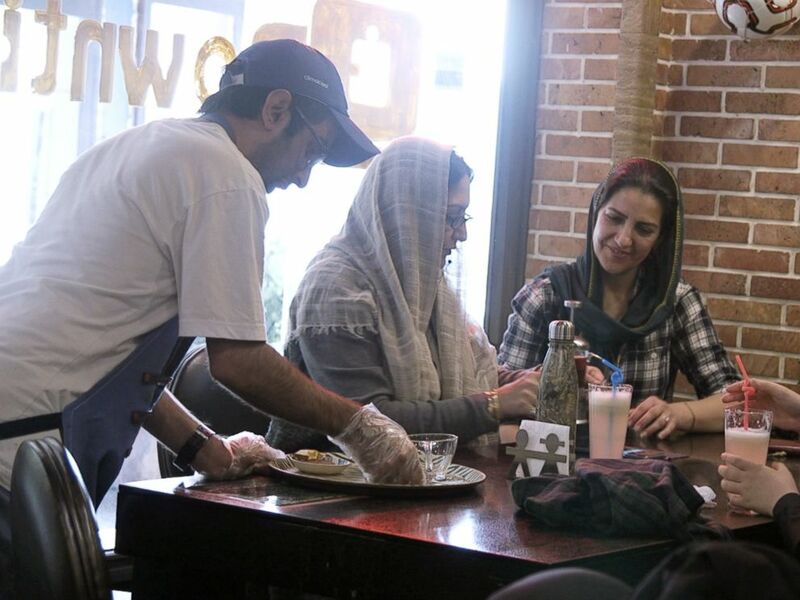 Staff member Mehdi Khakian serves customers at the Downtism Cafe, in Tehran, Iran, on Dec. 11, 2018. When Noori Majd first heard about the cafe, she wasn’t very hopeful that Shahriyar could get employed there. "I wouldn’t think my son had any talent useful for running a cafe," she said. But his family’s hesitations disappeared after he was employed and attended the cafe's training sessions. "My son has learned a lot now, from preparing coffee to learning musical notes and rhythm and playing piano," Noori Majd said. To her, what matters the most is how the cafe has helped Shahriyar believe in himself. "He finds himself an independent person who can work somewhere he likes to and gets paid," she said. 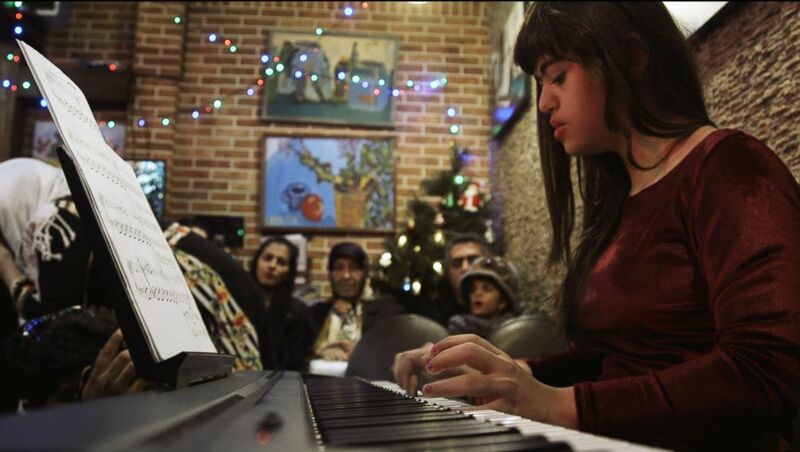 Ailin Agahi, founder of the Downtism Cafe, in Tehran, Iran, teaches piano to a student with special needs at the cafe, on Dec. 11, 2018. Raziyeh, 41, a translator who sometimes visits the cafe, says that she takes refuge in the natural slowness of the place. "I do not mind being served with some delay. After all, what’s the point of all the haste in our lives?" Although to her, the place is supposed to deliver services people get in other cafes, she embraces the occasional mistakes of the staff. "To me, the welcoming and warmness of the cafe compensates far beyond the kindly funny appearance of my order instead of a very fancy decoration," she added. Parnian Hamidi, 13, a former staff member at the Downtism Cafe, in Tehran, Iran, performs at a concert held at the cafe, on Dec. 13, 2018. Hooriyeh Jahanbani, 47, is the mother of Parnian, a 13-year-old Down syndrome girl, who used to work at the cafe on weekends when she didn’t go to school. To her, the cafe has been a place to develop a community for the families of people with special needs, which formerly only existed on social media. "Here, we parents know what it means when our child can tie their shoes or learn the first piano lesson," she said. "We know how much effort is put under making a cup of coffee here," she added. Agahi, the founder, is planning to rent a bigger space. She said more people would be able to be employed, although some current staff are afraid the new location might be far from their homes, with challenging commutes. In response to such worries, Agqahi said hopes remained high. "We keep working against stigmas attached to mental disabilities until we can prove our children with special needs are able to work at all cafes around of the city," she added. 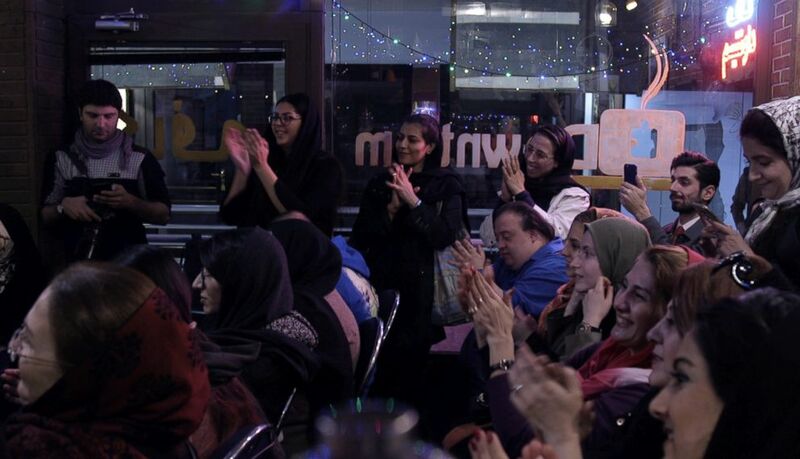 Audience members clap during a concert at the Downtism Cafe, in Tehran, Iran, as performers with special needs play piano, on Dec. 13, 2018.